Startup scripts work the same way as logon scripts, except that they execute when the computer is turned on and are run invisibly under the local system account. Under Windows XP, the user is not given the opportunity to logon until startup scripts have finished. On later operating systems, startup scripts run in the background, when the computer is turned on. Startup scripts are useful for performing maintenance tasks, but are also sometimes favored over running installations from logon scripts, because they run as local system and are, therefore, executing with full administrative local permissions without being under User Account Control (UAC). 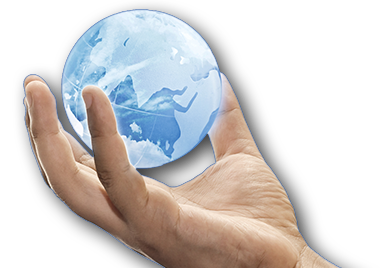 On this page we will go through one possible way of setting up startup scripts with FastTrack Logon. Please refer to the logon scripts page and the FastTrack Logon configuration page for more information on FastTrack Logon. An alternative, and in many case better, solution is to simply create a new script in the script editor, hitting the "Compile Script To Exe File" button and simply assign this exe file as the startup script. As described on the logon scripts page, this solution is very easy to set up, but is less scalable. Startup script files are, by default, located in C:\Windows\SysVol\<DomainName>\Polices\<PolicyGUID>\Machine\Scripts\Startup. They can, however, execute from any other public network location, e.g. the netlogon share. In this example, we will make a copy of FastTrack Logon on the netlogon share for script execution. 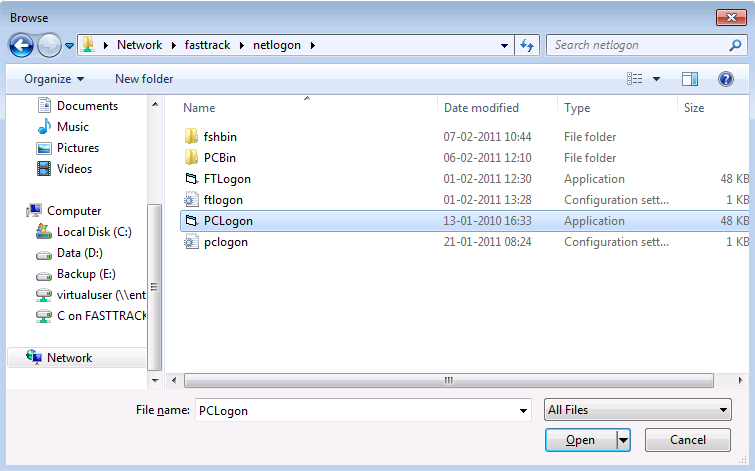 It is also possible to keep the default naming of FastTrack Logon files and place them in the policy folder. "ServerDir" must be changed to "pcbin". If the startup script is assigned to a computer, the prelogon.fsh script will now be the script that is executed when the computer starts. Edit the prelogon.fsh file to perform the desired startup operations. To get the startup script to execute, a group policy must be set. During testing, a test Organizational Unit (OU) could be created and the group policy could be assigned to this OU. The test computers could then be put into this OU. Find the desired container or OU that contains your Group Policies. Right-click the policy and select "Edit". Open Computer Configuration->Policies->Windows Settings->Scripts (Startup/Shutdown). Double click "Startup". Click the browse button and select the file \\%USERDOMAIN%\NETLOGON\PCLogon.exe as the script name. You can change %USERDOMAIN% to the actual dns name of your domain, if you prefer. A startup script is running under the local system account and therefore has no network credentials. This is not a problem when performing local maintenance, but if files are needed from the network, it is a big problem. However, FastTrack has a command to create the required token based on credentials: The "LogonUser" command can perform a logon as another user and impersonate this identity. The example startup script below will logon to the network and copy the installation files for Adobe Reader and install that on the executing computer, assuming it has not been successfully installed before. It would be a good idea to insert a logging line in the ErrorHandler.fsh script to report problems.